This stood out to me, but at first I wasn't sure why. I eventually realized that white = organized and clean to me. 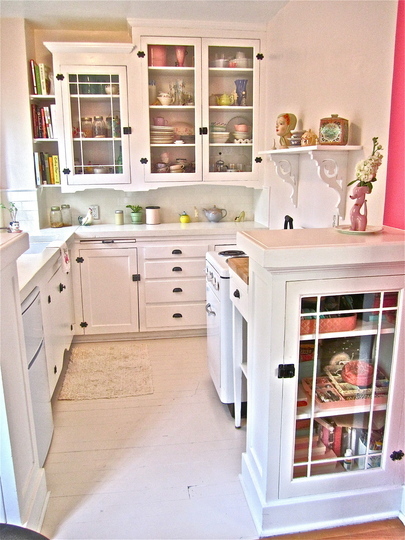 I am always in need of extra counter space, and I loved this extra counter they used in between the kitchen and sink. I especially enjoyed the light and the mood of the room. 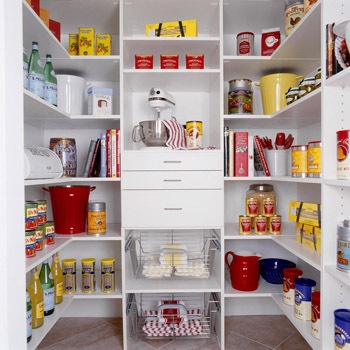 Who wouldn't want a pantry like this!? Again, I'm realizing I really like white when it comes to making a space feel organized and clean. 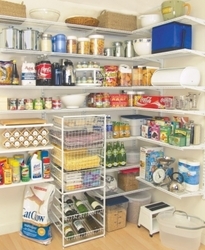 I like how you can easily see what is in this pantry space, both through the wire drawers and clear storage containers. I hope that helps give you a start. 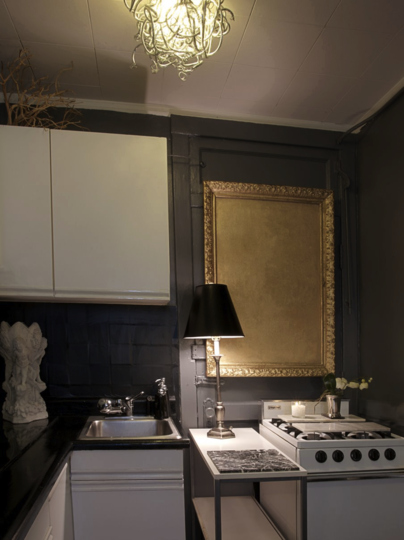 This entry was posted in Do-It-Yourself, Images, Inspiration, Kitchen, Organization, Pantry, Room Makeover, Small Space and tagged 400 Square Feet (sq ft), Apartment, Color, DIY, Food Storage, Home, Interior Decorating, Organization, Pantry, Small Space, Storage Solutions. Bookmark the permalink. I’m so glad you liked it! I hope that you will subscribe to my blog and/or feed. Also, please feel free to e-mail me with any of your own ideas, projects or questions!